while we were at the farmers' market, we saw the cutest little baby cucumbers. we brought them home, and i used them to make bread and butter pickles for ryan's birthday party last weekend. 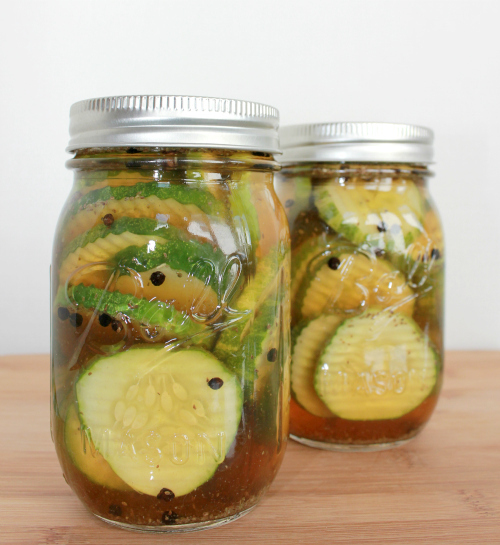 pickles are seriously the easiest things to make. i have no idea why i have been buying pickles at grocery stores for all these years. 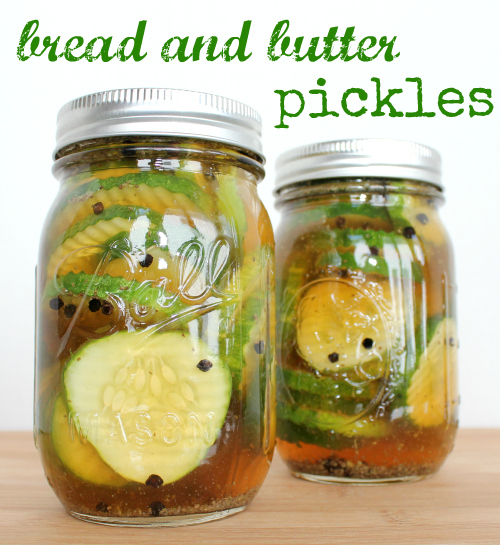 after you make these once, you will see that there is no reason to purchase a jar of pickles ever again. they were the perfect blend of sweet and tangy, and they had a great crunch too! slice the cucumbers (thick slices will give the pickles a better crunch) and place the sliced cucumbers in a large bowl. in a medium saucepan, combine the sugar, vinegar, and spices. 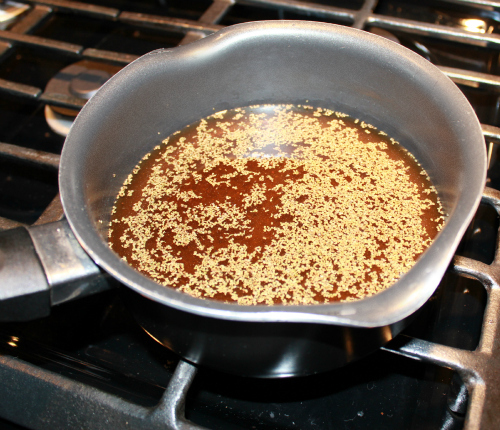 over low heat, bring the vinegar mixture to a simmer, stirring until the sugar dissolves. 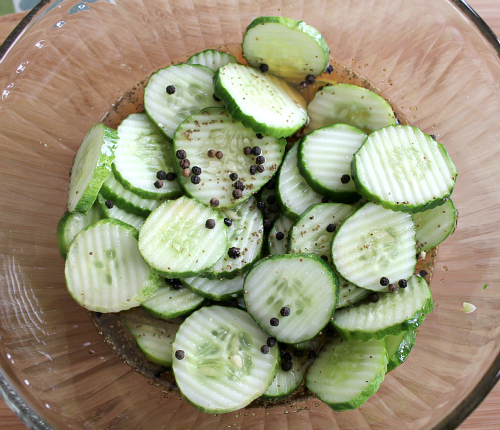 pour the hot vinegar mixture over the sliced cucumbers. 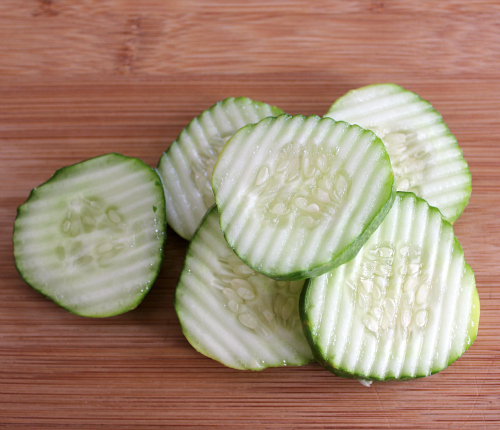 if the cucumbers are not completely covered by the hot vinegar mixture, add water until all of the cucumber slices are submerged. let the cucumbers stand at room temperature for 1 hour. 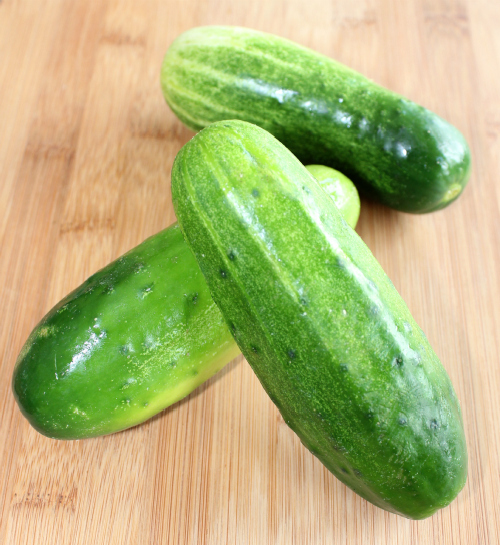 transfer the mixture to a jar with a lid and allow the cucumbers to marinate in the refrigerator for 24 hours. 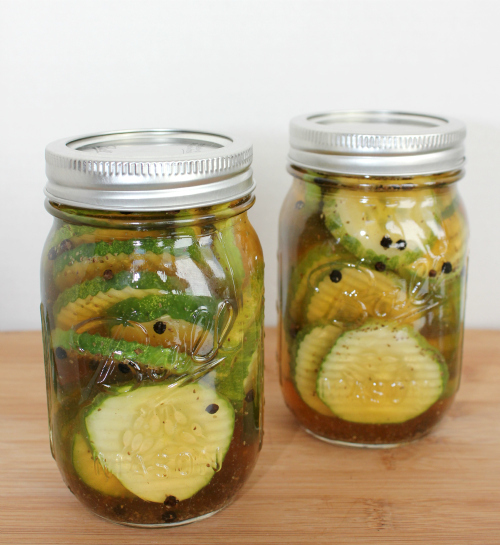 the pickles can be stored in the refrigerator in an air-tight container for up to 2 weeks.